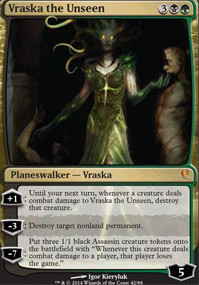 Does card:Nissa, Vital Force roll up count toward card:Oketra's Monument for tokens? How does Majestic Myriarch actually work? 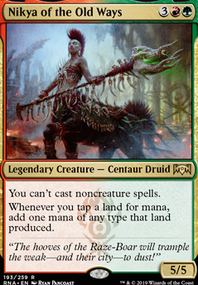 Majestic Myriarch's power power and toughness are each equal to twice the number of creatures you control. 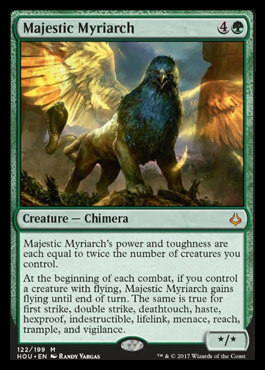 At the beginning of each combat, if you control a creature with flying, Majestic Myriarch gains flying until end of turn. The same is true for first strike, double strike, deathtouch, haste, hexproof, indestructible, lifelink, menace, reach, trample, and vigilance. Cool deck! Hmm maybe a Mimic Vat ?? Majestic Myriarch maybe? Heroic Intervention too. 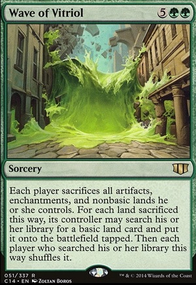 I'd be tempted to put more land in, and lose a couple of the instants. As you have Ajani's Pridemate, I'd swap one of your instant's (perhaps Heroes' Reunion) for Ajani's Welcome, so that you're putting +1/+1 counters on as well as gaining life most turns. 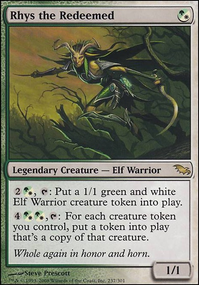 Since you've got a number of creatures and enchantment that pump out cat tokens, consider adding Majestic Myriarch which will have power and toughness equal to twice the number of creatures you control. @Hexaflexagon Going to try Ajani's Welcome in place of Angelic Chorus. Seems like a much better option for the speed of the deck. Thanks for the suggestion! @Hi_diddly_ho_neighbor: Heroic Intervention is in, thanks. And I agree on the Angelic Accord point. I've removed it for Crested Sunmare and I've put in Divine Visitation as well. @Poly_raptor: I'm not sure that this is a Second Harvest type of deck, but I will give it a shot at some point. I don't think there's enough payoff in Majestic Myriarch even though it will usually be a large life-linker. Will give it a try though. Thanks! Null Brooch for specifically Cyclonic Rift. Camaraderie could be sick card draw. Emrakul's Evangel could upgrade 1/1 tokens. Majestic Myriarch, Mossbridge Troll because wow that looks fun. 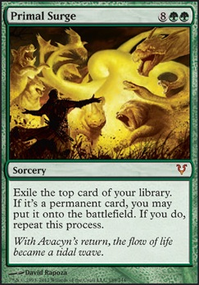 Phyrexian Rebirth consolidates power and is good to populate, but leaves you vulnerable to a single kill spell. Crush of Wurms, Gelatinous Genesis for very big tokens. Hornet Queen, Hornet Nest for deathtouch. Ant Queen, Snake Basket, Spawnsire of Ulamog can easily convert mana into tokens. 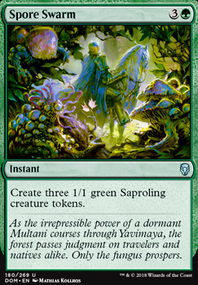 Skittering Invasion might be good in some situations, if you can copy the tokens and use them as mana receptacles. Love a good token deck!